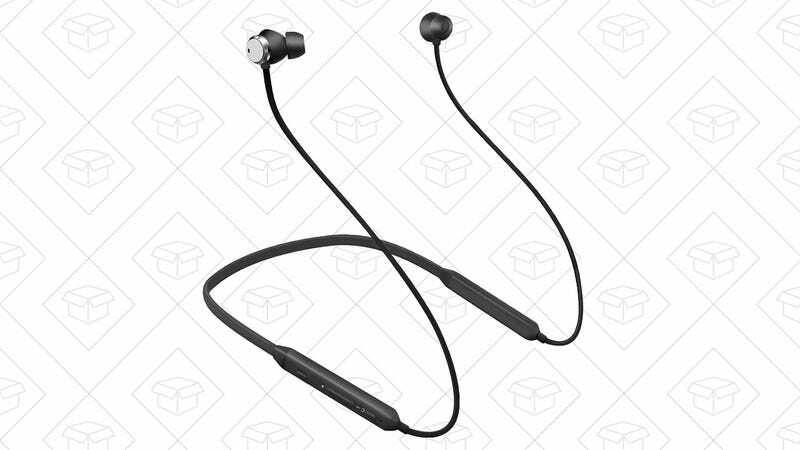 $25 is more or less the going rate for a barebones set of Bluetooth earbuds these days, so it’s pretty shocking to find a set with active noise cancellation at that price. I got a set of Bluedio’s Turbine earbuds to try out, and despite my skepticism, their noise cancellation actually works decently well. Is it as good as what you’d find on a high-end set of Sony over-ears? At $25, of course not. But I blasted airplane white noise out of a nearby speaker, popped in the earbuds, and noticed that the engine noise became noticeably quieter whenever I flipped on the ANC toggle. The effect was less pronounced, however, for dynamic noises like human conversations or rain sounds: these definitely seem to work best when cancelling out a consistent background annoyance, but the same could be said of most noise cancelling headphones. Notably, when playing music through the Turbines, I didn’t sense any dip in sound quality after turning on noise cancellation, which is all too often a hallmark of inexpensive ANC gear. Each pair of Turbines houses all of its buttons and batteries in two chunky segments that sit between a semi-rigid neckband and thin, flat (!!) earbud wires. On one of those chunks, you’ll even find a USB-C charging port rather than microUSB, another welcome surprise at this price. The earbuds themselves are very light and comfortable, offering decent sound isolation. They also attach to each other magnetically to avoid tangles when they aren’t in your ears, though snapping them together doesn’t pause your music like you see on some similar headphones. Sound quality is fine and unremarkable: If you’ve ever used another set of $25 Bluetooth earbuds, you basically know what to expect. As much as I love my AirPods for day-to-day use, they’ll be staying in my pocket the next time I get on a plane - Bluedio’s Turbines earned a spot in my travel bag at a shockingly low price.